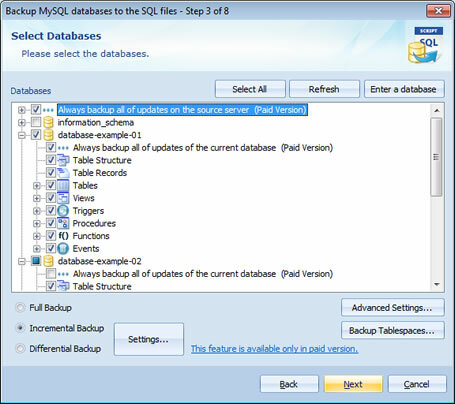 Create backups from your remote MySQL database with the easy-to-use GUI software for FREE. 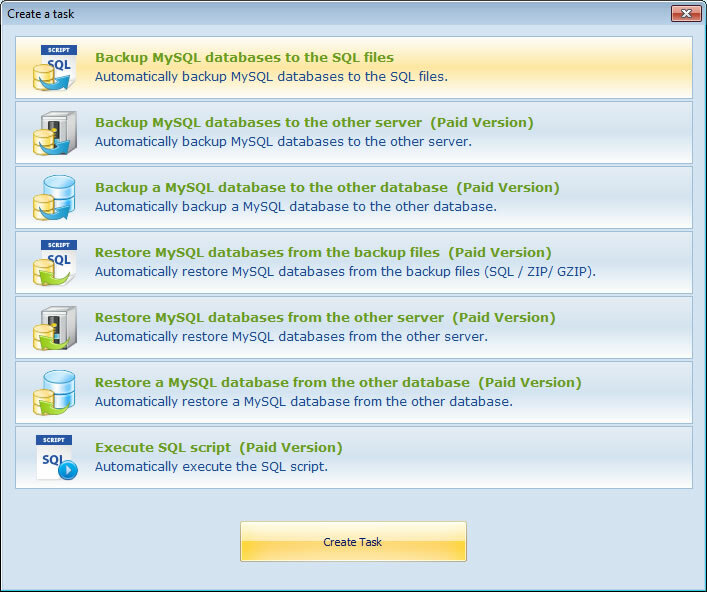 Free Backup for MySQL is an easy-to-use Windows GUI software works for MySQL database backup. It can be used to make full backup from your local and remote MySQL database for Free. You do not need to study any command-line operations as mysqldump, just need to click some buttons for making backup easy using the software. 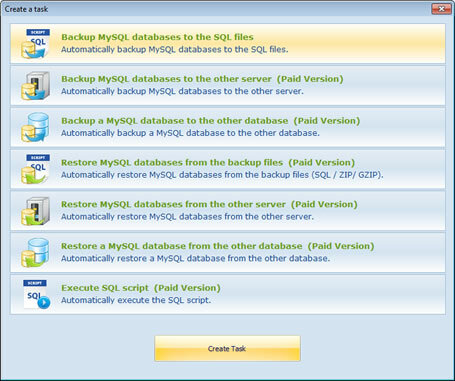 Free Backup for MySQL works as a stand-alone utility, and DOES NOT require any additional software. It's NOT necessary to have MySQL installed on your local computer to perform backups. User friendly GUI interface and task wizard. 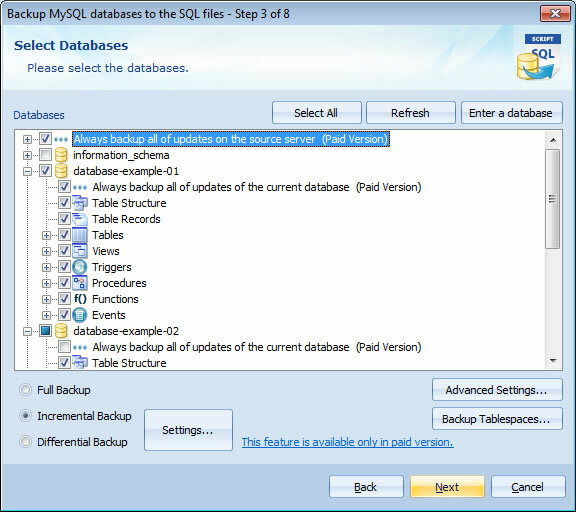 Ability to back up all items of MySQL ( Tablespaces, Databases, Tables, Views, Triggers, Stored Procedures, Functions, Events, Indexes, Primary Keys, Foreign Keys, etc. ). Ability to back up all character sets of MySQL ( Unicode, UTF8, etc. ). Ability to back up all store engines of MySQL ( InnoDB, MyISAM, BDB, etc. ). Ability to back up all field types of MySQL ( BLOB, TEXT, VARCHAR, DATE, DECIMAL, etc. ). Ability to high-speed back up the huge databases ( larger than 100GB ). Ability to back up MySQL master and slave script. Records the backup files history.